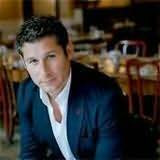 Chris Pavone grew up in New York City, and attended Midwood High School in Brooklyn and Cornell University, where He majored in government. He worked at a number of publishing houses over nearly two decades, most notably as an editor at Clarkson Potter, where he specialized in cookbooks (he loves to cook). In the late nineties, He also wrote a little book called The Wine Log. He now lives in Greenwich Village and the North Fork of Long Island. "Superb characters, sparkling dialogue, and a gripping, terrifying plot, plus flashes of humour to boot; this book has it all." "A fast paced romp through the streets of Paris, with menace lurking in surprising quarters, and some terrific twists." "A deliciously creepy novel revolving around a terrific paradigm shift: The job you think you’re doing? That’s not the job you’re really doing." "A terrific novel, wonderfully written, richly populated, and utterly gripping from start to finish." "Need to Know carves out a uniquely compelling space among thrillers: high-stakes international intrigue combined with high-drama domestic suspense. These richly overlapping layers of tension create a fast-paced, relentlessly gripping read." "Tremendous fun! Wives with big secrets, husbands with bigger ones, swirling around a 1950s Siena teeming with seduction and spycraft." "August Thomas is a fresh, exciting new voice in international thrillers." "A knockout of an international thriller, with glamorous lives on collision courses with high-stakes crime and high-level politics through the corridors of power in Europe and America. Plus, Alger accomplishes the remarkable in making even Geneva seem exciting."